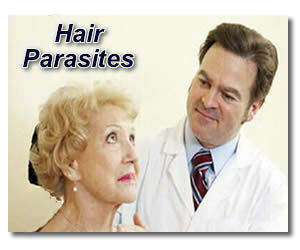 Hair parasites are annoying and troublesome and can be difficult to eliminate. 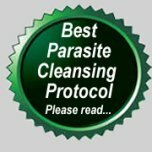 Using anti parasitic herbs is one of your most effective options, whether you are talking about parasites that look like hair or parasites in your hair. We get plenty of emails and posts to the site from people who are dealing with both types of these hair parasite issues, and some folks are at their wits end trying to find a real solution. If you are one of their number, please don't give up hope. It may seem as though you've "tried everything" but perhaps you'll discover something here that will just be just exactly what you were needing. We have great suggestions for dealing with common hair parasites, like lice, that are proven effective when you follow the instructions faithfully. If that's your battle try this home remedy for head lice. Demodex mites are another hair parasite concern that people struggle with for lengthy periods of time. You'll find suggestions there to help you wage war and win. Then there are other hair parasites that people describe as Morgellon's disease and our best suggestions for an effective and natural Morgellons treatment. Of course, we're just getting started! Hair parasites come in many shapes, sizes and effects. Our readers have submitted hundreds of questions and comments based on their own experiences and our responses and suggestions that you may find helpful. I did try the clove oil (10 drops)mixed with jojoba oil with a little tea tree(10drp) and lavender(20drp). I let it set on my scalp for 3 hours. Then washed with my shampoo sulfur and salicylic acid. Then I looked at my scalp with my microscope. They were still there. The little black bugs attached to the hair shaft that the vellus hairs weave through out the hair and attach to these black things.. then there is also the beige/orange and sometimes cream beetle looking ones that protrude from the hair follicles and attache to the hair shaft with little arms. The only thing that i noticed that it did was get rid of most of the biofilm. which i guess is good. Maybe undiluted? Or would that be too strong? I am still reluctant to start the cleanse while I am breast feeding, what i put in my own body is one thing but I wouldn't want it to affect another. Have you considered Demodex Mites? I wouldn't necessarily suggest that you use the clove oil straight (undiluted) because it may sting quite a bit, but that's up to you if you want to spot test and see. I don't think you'll lose the benefit by diluting it in the carrier oil, however it certainly takes more than one application in most cases. It wouldn't be a bad idea to apply the oil daily for a couple of weeks. I'm trying to think what else this could be and I'm wondering if you have considered if it might be demodex mites. There are a few pages here on the site that have people discussing it (just use the search feature in the upper right column). Also, do a Google search for images of demodex mites and compare the photos to what you are seeing in your microscope. 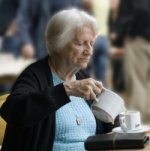 Some of the recommendations different visitors have made are seabuckthorn oil, cedarcide, and even simply cutting out sugar and dairy from the diet (among many other suggestions). One visitor recommended a site called demodexsolutions.com that they found very helpful. I'm not personally familiar with the site but you may find it helpful, even if just to rule out that option. Hope that you will soon get to the bottom of this and get rid of the problem entirely. Ive had a battery of tests catscan included I know thrse are responsible the symptoms came in lockstep with the others.pockets of oil have gathered all over my body thats where the hair hang out thetes apocket of oil grease whatever it is on each of my temples on2 occasions i was looking in the mirror and physicaly saw them shift to fofferent positions and instantly an attack began.and i wanted to ask does cleansing do anything for the hair skin variety? Does Cleansing Help Eliminate Skin Parasites? I'm glad you've ruled out the possibilities of a tumor or growth in the brain. That should at least give you some relief in the "peace of mind" area, although I know you still have the problem you are dealing with. It is my belief that internally cleansing DOES help in fighting the skin variety of parasites that look like hair or any other type. Our skin is our largest organ and it is very much affected by what we consume internally. When you use a good cleanse that contains anti-fungal and anti-parasitic herbs, it benefits all of the organs of the body, including the skin. Your body becomes an uninhabitable place for unfriendly bacteria and parasites, for starters. You also eliminate toxins from the body in the process, which serves to boost the immune system and enable your body to fight against foreign "invaders." Don't expect cleansing to fix your problem overnight, but by following a consistent cleansing protocol for several weeks or even months (depending on how severe your condition is) you can hardly fail to benefit. Of course, you will want to maintain as healthy a diet as possible, too. It's important to cut out sugars and processed foods as much as possible so that you aren't "feeding" the parasites. Have you tried soaking in a bath with Epsom salts or lots of sea salt? You may find that doing that daily may give you some relief, too. It's sure worth a try and very inexpensive. Im at the end my rope i refuse to live a life like this every day i hink it cant get its doubled now i cant even liten to music i turned on the stereo and the first cpl songs wete ok then kevn Kinney came on a real high whiskey tenor voice and all of a sudden i saw lines in all directions in the carpet then my cat howled in pain an then quick ad a shot these goddamn things leveled me once i got my barring i grabbed my cat and ran outside. I recognize the place im at rite now i barely survived a suicide attempt when i was 15.im completely isolated qnd help is never coming. I am so sad for you. I wish there were more I could do to help you. To feel so despairing is heartbreaking. Apart from the suggestions I made above, the only other thing I an suggest is finding someone locally who could be an encouragement to you and help you with your desperation. In all of my times of trouble, heartache, or difficulty, I turn to the Lord Jesus Christ for help, strength, and comfort. To some this may seem silly or fruitless, but He has made all the difference in the world to me. I know He can for you, too. If I knew where you lived (city and state), I may be able to find someone near you who you could talk to who might be able to encourage you through this unbearable time you are enduring. They could also help you get know the Lord Jesus personally so that you can draw on His Strength, too. i have tried dead sea salt 1 cup mixed with one cup water and put it on my hair. It cuts down on the black specs or bugs I see on the floor. I have linoleum on the floor. I stay off the carpet to see what falls off of me. The black bugs I think are the adult stage ones that bite hard. There are smaller ones that are beige /clear but you cannot see them very well. I believe that is the baby stage. when I pick up one of these black bugs they bite my finger pretty hard, so I know these are the culprits. Normally, they hide in my clothes after feeding, but I put borax on my clothes and they do not like that. Anyway, getting the dead sea salt on my scalp did not burn me, but I was careful to avoid the rest of my body. it did make my scalp itch, but I thought that was a good sign that these things were leaving their home and that irritated my scalp. I am just starting this process, (tried for two minutes) so i will keep all updated increasing the time. I so love the thought of burning these little buggers with dead sea salt. I forgot to add that oregano oil pills and garlic pills have been life savers. Without these pills I would not be able to breath. I wad wondering does anyone thay have thrse live at an elevation above 5000ft ? I grew up in a mountain city elevation 5600ft and ip thete er dont have fleas snails or grasshoppers because of the elevation.i went up thete for about 3-4 hrs today and these things were so agitated and moving al over my body and began pouring out of my skin ddead half dissolved looking and this greenish black discharge came out of my knuckles.im home now and they dont seem to be at full strength anymore.could this be a fix? Know what you're talking about. Don't know what tbey are or how I got them. They are mainly in my hair but they can also embed in other parts of the body for survival. Somone on the web recommended Listerine because it has thyme in it. I have used it and it worked. A friend of mine moved to Tampa florida and he no longer suffers. I thought the heat would make them worse? He said he itched like heck the first 3 or 4 days though. He was doing physical activity. The elevation had no effect in fact been in new place one week and they've already taken over the carpeting, but i now know the source it is a beetle 3 days b4i moved there eggs must have hatched id seen the lil black bugs dead all the time but that night there wete hundreds all over the apartment and they were spraying fluid from there backs i looked it up only one bug in the world has this defense mechanism the beetle coleopatra and they are parasitic so i have all the symptoms of being attacked by this bug for months then come to find out my truck and home were completely infested with this very bug but im crazy.guess 2+2 doesn't always equal 4. Does anyone see little black bugs on their ceiling in the shower? They are the size of ants. Fellow grandma, I gave you some suggestions months ago regarding shampoo's and soaps to try and dead sea salt baths. Did they work for you? Has anyone else on here gotten relief from them? I also have another suggestion, use a antihistimine. The reason is because I have heard they travel through your saliva. I know that when I sleep at night their is some drool that gets onto my arm and then I find moles the next day in that area of my arm and face. They seem to appear in two's. Since i have started using an antihistimine they have started to dissappear. Bath Salts, Year Later, these things, ARE REAL. please read all of this.... i typed it quick and without much attention to detail, because doesn't matter if my grammar is correct, because you will think I AM CRAZY as you start to read this. im a smart kid and a hard worker who loves cats and who is spiritually needing help... but, this is NO LIE.... its like... these things are either ALIVE on THEIR own, or SOMETHING ELSE is controlling them (govt, aliens, mother earth angry) read this... please. look.... this is for real.... like id call some scientist from the university or something.... i used bath salts... you know... that make people go crazy... since then... those hair like things.... ARE EVERYWHERE.... they grow. they attach to everything.... bleach doesnt hurt them.... nor hydrogen peroxide... if u light them with a lighter... well... i think they actually grow from that. They are IN MY CLOTHES... i feel like i get bit and poked... all THE TIME... feels like my clothes are alive..... i no longer use bath salts... i went to texas... and all went away, but since back in north carolina.... EVERYWHERE.... please... i want them to go AWAY. I know the RIGHT PATH to make them go away... besides that one, is there anything else TO BE DONE? I don't even have my cats with me right now because the stuff attacks them too... they lost hair and would hide all the time.Then the cats would be watching something move... tail going back and forth on the cat, and then I spot it... a whitish hair... crawling... across FLOOR... i am dead serious. i wont even check back on here for a response. id WIRE money or pay with credit card to find the cleaner for my system and ALL my LAUNDRY. I am tired of the things... the more you try to get rid of them, THE MORE THEY fight back... if I ignore them, they aren't as bad. whitish hairs.... crawling sensations... and some of the things are GROWING OUT OF ME.... and inside clothes... please. ive had this for 5 yrs now suffering some nights i just cant seem to bear it.at first i got this black tar coming out of my skin then things in my scalp sores i kept picking them open breather holes for the worms.at night when i lay down it comes out my ear and i feel it very large like a pencil crawling but i have to pretend im sleeping to make it come out. it has cilia hairs it sends out too i sit by a light and look at the shawdow and i see lots of moving hairs coming out of my ear.ive tried something new for 5 yrs now everyday now im taking cayenne with every meal and all my drinks im hoping it works cats claw and psyillium fiber.nothing works but these help.i was put in the nut house for 2 weeks and i had to lie and say it was gone to get out. ive tried albendazole and many other drugs but they all dont work.i even got the worm on a video on my phone and showed my dr and he looked at me like he had tears in his eyes and has ignored me now.hes afraid i saw the brown spot things in his office so now the hospital has them to here in texas.drinking lots of cold ice water i got a long one out it looked like a roman noodle.i hear it whisteling in my ear and making all kind of gross noises.im a strong person or i would have lost my mind or killed myself by now. this is a living nightmare/tumeric spice from the middle east and there spices are much more potent to use.i hope someone figures this out soon. i first found 2 black hairs coming out of my breast.ive gotten rid of my bed and now i sleep on a cot.i saw things moving like the bedroom curtains but they werent there was no open window and the cords by the tv move because the worms crawl out and run along the wires.i had a fly by the window and out of the corner of my eye i could see something moving then i saw a worm going up to catch the fly.i vacum and ther in my cup half full eveyday they turn purple.i see them on my floor everywhere.they crawl up the walls and even my bathroom mirror.when i brush my hair i get these white fibers in the brush and lots of hair.i sat in the hot sun and it killed one came out i found it on my chair it was small and black.we shouldnt have to suffer like this.i used to work outside with the plants palm tree trimming and flowers.not anymore.just keep the colon clear or it could kill me i keep thinking.im going to try to eat nothing but psyillium fiber for 2 weeks and see if it starves to death.its hard to do.worms dont like peanut butter andi know when its feeding i feel it come down from my head to eat only certain foods so i know what it likes and dislikes now.wierd huh?im not crazy yet but it sure sounds like it. Although I understand your desire to starve the parasites in hopes of killing them off by not eating anything at all, the trouble with that is that your body needs good nutrition to help you fight this thing. Psyllium fiber is good, but it would be even better if you used the Herbal Fiberblend because it has a bunch of herbs mixed with the psyllium fiber that are known to be antiparasitic. It would give you a much better chance of killing off the ones on the inside. Instead of cutting out all other food, how about just cutting out all junk food - sugar, processed foods, etc. Try to eat only highly nutritious food and drink plenty of water. 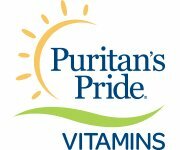 If you can afford it, you can even supplement with organic whole food powders to be sure you are getting the best nutrition. Something you may want to try for your ears is to pour several drops of hydrogen peroxide in your ear and let it set (with your head on the side) for at least 5 minutes. It feels really weird because it bubbles and stuff, but it may give you some relief so that you can get some good sleep. Do one ear and then the other. I'm so sorry that you have been fighting this for so long without any real help. I hope that some of the suggestions here on our site will truly benefit you and that you will find some relief soon. You may also want to take a look at our article on doing your own pest control to help clean up your house/environment. I came to this web page while looking to find an answer about a worm I found...it fell onto my kitchen working surface in a rain drop off a rose I'd cut from the garden. I have never seen anything like this worm but it sounds like those referred to here. It was very fine,long, curled up and active. I got a magnifying glass to identify it out of interest- I thought it was part of the centre of the rose initially but something made me want to look more closely at it. I thought I'd look it up on the internet. We need to get informed people out there but then what? Be glad you live in your own home. Morgellons can be transferred by washing machines, dryers, not careful manicurists or hairdressers who don't sterilize. Just think, you can go to the movies and lay your head against the chair and transfer your hair to the chair. I know that I had to use the washer / dryer in my apt bldg. Not long after that I saw people using borax in their washing machines. Which I never saw before. The government knows about the problem. However, they don't want the stock to be affected. They probably want to find a cure first before they announce the problem. Or some people think that the government wants to de-populate certain areas of the country. One of the cures on here is sea salt and I saw a recent article where the government is saying that people are using sea salt as a drug. Sounds like they want to regulate the use of sea salt. Is that a coincidence? Only God knows. You and your boyfriend BOTH need to parasite cleanse very thoroughly at the same time or you will continue to pass it back and forth to each other. Don't quit too soon. Cleanse longer than you think you need to so you are absolutely certain the job is done - I would suggest 3 full months minimum of cleansing with Herbal Fiberblend. Start with 1 teaspoon of HFB in water or juice twice a day. Gradually increase to 2 teaspoons and then a nice heaped tablespoon twice per day over a two week period. Stick at that dose for the 3 month period and then reduce back down gradually like you went up. Drink plenty of water and try to avoid sugars and processed foods as much as possible. If you do this faithfully, you should be able to get rid of this thread-like parasite problem and get your life back on track. If you can afford it, also take some probiotics and whole food supplements to boost your immune system and make the cleansing process much more effective. The Daily Essentials Pack along with Florafood would be your best option, in my opinion. Sincerely hoping you both get this cared for soon and are feeling great soon. Who here has tried Herbal Fiberblend and it worked for them? Of course, I have used Herbal Fiberblend successfully (or I wouldn't be suggesting it so confidently) :) and my husband has also. There was just a post added this weekend by Mary who is also using HFB and some of the other AIM supplements. You can read what she has to say here, and there are also some visitor testimonials at the bottom of the page about Herbal Fiberblend here. Not sure if any of the previous posters to this thread are still "watching" it and will see your question, so I hope this helps. The one's I see on my leg's are in different colors. I can put a body lotion on my legs and it pulls them out on top of my skin. I too can feel them biting me on my arms. I have a lens to my telescope and I can see them on my arms, legs, and in my hair after I remove the hair from my bush. I can feel them moving on my legs. On my arms I can see where they bit me by using the lens I use. I don't have them real bad in my head hair. But I still know when they're in my hair. Thank You for taking your time to read my e-mail. The multi-colored hairlike parasites are what most of our visitors are calling Morgellons. You may want to read through several of those pages to see if you feel your condition falls into that category. Apart from the suggestions above for a thorough internal cleanse (yes, cleansing inside is important for external parasites), you may also want to try soaking regularly in a sea salt bath or epsom salt bath. Several people have found that soothing and helpful in removing the external parasites that look like hair. Also, in Carla's recent post, she mentioned eating raw garlic and applying food grade Diatomacious Earth to her skin each day. I hope this info helps you, too. Hi Darlene, Where about are you from? Oh, thank goodness... There are others!!! It has gotten so bad I have thought about lighting them on fire. This stuff is making me psycho. No one believes me. Hang on Iowa. They may not believe you now, but hangout with them long enough and they will start itching. They won't believe you until it happens to them. The CDC really screwed us when they said that it was all in our heads or it is just lint. They KNOW that it is not. However, to let that info. out could be detrimental to the economy and they are not going to risk it. Make sure to not use your real name on these sites because some day they are going to have to acknowledge the problem and when they do, they could use drastic measures to curtail it. That wasn't me, that was "Angel" just to clarify. :) Hopefully she'll see your question and respond. Here are some things that radically changed the my life Iowa. Now I get bit once every couple of days. I use Organix theraneem soap and shampoo. This shampoo has Neem oil and sea salt. They hate this combination and it's safe to use. No, I don't work for this company. I just want to help you. I put a cup or 2 of 20 mule team borax with each laundry load. It kills them dead. Then I take a couple of dead sea salt baths a week. My hair fell out at first, but now it's only a strand or two. I think that all the hairs that were not really hairs died. i also used to use a plastic cap that covered my hair at night. i did this at first when the biting was bad. Since i no longer have that problem I don't use them anymore. I was getting these small black what looked like birthmarks in two's but now they are fading away and I am not getting new ones. Make sure you use DEAD sea salt and not just sea salt. Nothing survives the dead sea and it won't survive on you either. I think this might be a holy place or something. Either way, it's working for me. Thank God! I promised God I would spread this news if it helped me so I have done my part for all of you. God bless you all and may he heal you all soon! I have suffered with this for 3 months, for the longest time I thought it was scabies because my husband got it while working up north. I have found a few things that work. I make a spray of borax tea tree oil and dimataceous earth and spray on my head. They get really mad and start biting there way out. I take garlic, wormwood, dimataceous earth and the newest thing that makes them go crazy is aerobic oxygen. Make sure you take pain killers because the way they leave the body so fast is quite painful and the more you tighten up your muscles you will get a headache . when I get out of borax bath I spray myself with the borax tea tree oil and dimataceous earth mix all over too and yep that includes privates. I spray my dogs with it too but since cats can't have tea tree oil I spray her with borax and dimataceous earth mix. Hopes this helps! I need to see videos talking about these parasites looking like black thread. It doesn't do a thing as for helping me understand what it is. They are in different colors. I see them when they move. I know it's not my imagination because I feel them moving through my head hair. I have a telescope and I use one of the lens to bring it closer so I can see these parasites. If I could just see some videos that would help me so much what I'm dealing with. I also see these same parasites on my legs and arms after using body lotion I feel them moving on my legs and arms. Yes I see them I feel when they bit me. Thank you for getting back to me as you did and do. Thank you for your time. Do have a wonderful evening. God Bless you all and your families. I don't personally have any videos to show you regarding these parasites. I think if you go to youtube and do a search, you may find some. I can't guarantee how genuine they are (as with all things like that, you have to use your judgment). I'm not sure whether seeing videos will help you or not. I suppose some people may find them reassuring. I think the best help is taking decisive action by cleansing the body internally and boosting the immune system as I mentioned earlier. Others have also provided various suggestions that you may want to consider. If you want to see Morgellons videos there are plenty on youtube. I forgot to mention a couple of tips to keep the biting at bay. I purchased a roller with sticky paper at Target. I roll my bed with it before I go to bed to get anything off that I cannot see. These rollers are re-useable. You just remove the paper and a new one is underneath. Then I take that roller and roll around my sleeping area on the carpet. If you have hardwood floors you are lucky. After reading about GMOs I think there might be a link between eating foods with GMOs (genetically modified organisms and these hairlike symptoms. I say that because I saw a video last night called The World according to Monsanto. In this video they talk about the hairlike changes and bizarre malformed way GMO plants grow. These GMOs were never tested long term only 3 mo's and those results were not good. So, what if they do the same thing inside a person who is eating them as they do to the plant? The problem is that they are in 70% of our food now. Return to page 1, page 2, page 3, page 4, page 5, page 6, page 7, page 8, or page 9 of our hair parasites forum, or continue on to the next page.